﻿ Best Price on Hotel Le Toiny in Gustavia + Reviews! Each villa at this secluded beachfront property features its own private pool and offers excellent ocean views. The property features a gourmet restaurant, a fitness center and an on-site spa. 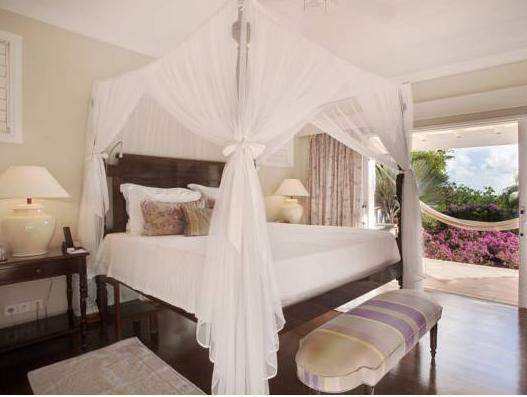 Le Toiny Hotel features villas with modern décor, a living and dining area and a furnished patio. Guests also enjoy a flat-screen TV, a wardrobe and wooden floors. Hotel Le Toiny restaurant offers Mediterranean cuisine. Toiny Beach, located just yards from the property and features a beach club, is perfect for surfing and the hotel can loan out boards and snorkeling equipment. The hotel also offers a jewelry boutique and hiking trails. St. Barthelemy’s capital of Gustavia is 5 mi away and offers shopping and sightseeing. The island’s international airport is a 15-minute drive from the property.